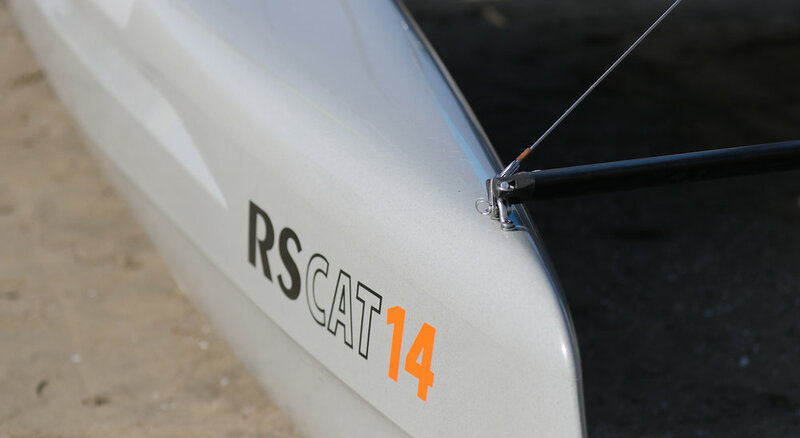 The RS Cat 14 takes the enjoyment and handling associated with beach cats to a new level. 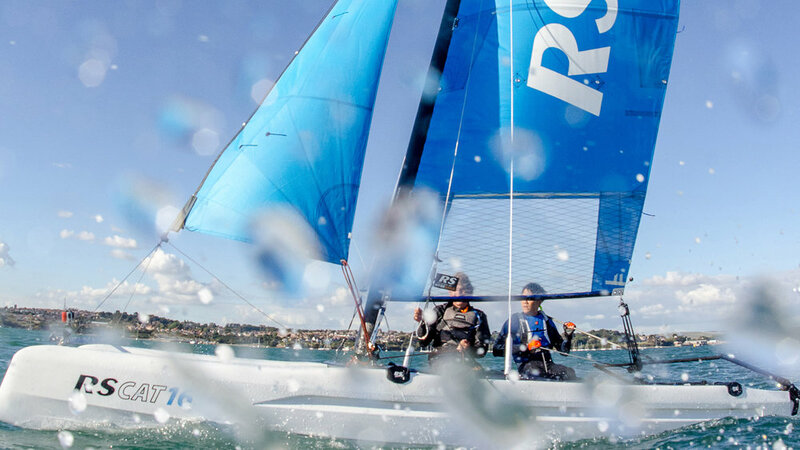 Stiffness and balance defy the cost-effective durability of the RS CAT14’s construction – making the boat perfect, not only for training and recreational sailing, but also as a true performance pathway class. We’re excited – and we think you will be too! 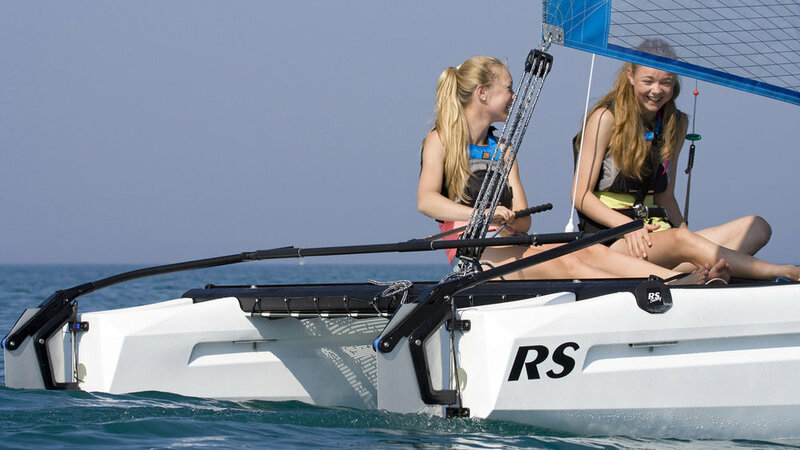 The design protected system for joining the beams to RS CAT hulls gives increased stiffness compared to other rotomoulded catamarans, with the added bonus of allowing the boat to be disassembled quickly for storage or transport. Durability : Convenience : Excitement – the hallmarks of the RS CATs. 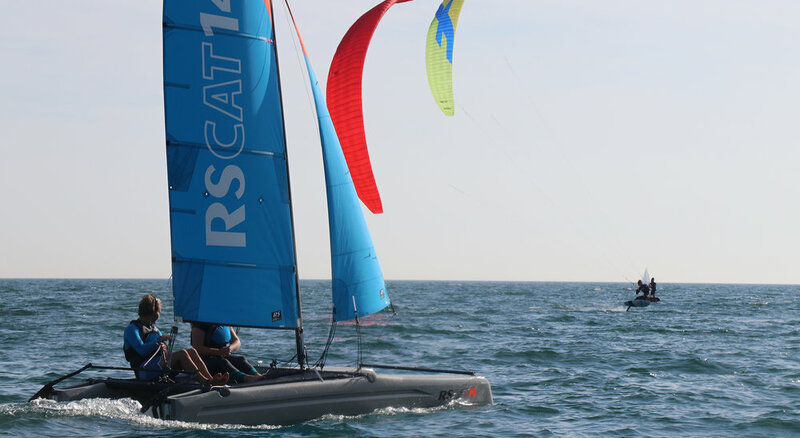 The RS Cat 16s Sparkling performance gives this modern beach and training catamaran the feel of a higher performance boat, yet it could hardly be easier to handle. Start with the main and jib – use the gennaker and trapeze to turbo charge the performance when you’re ready. 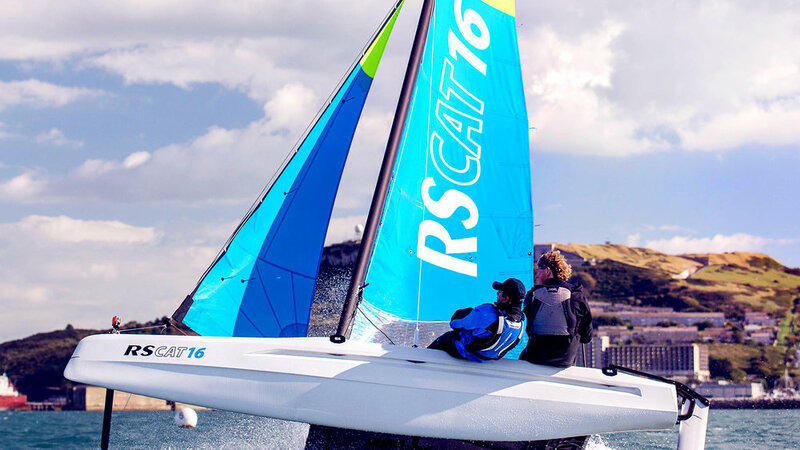 The RS CAT16 has stability and space so you can enjoy the excitement alone or with family and friends. A new design protected system for joining the beams to the hulls gives increased stiffness compared to other rotomoulded polyethylene catamarans, with the added bonus of allowing the boat to be disassembled quickly for storage or transport. Durability : Convenience : Fun – the hallmarks of the RS CAT16.